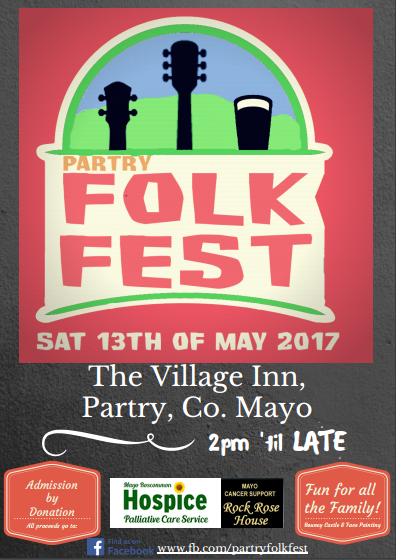 The inaugural Partry FolkFest will take place on Saturday, May 13th in The Village Inn, Partry. All proceeds from the one-day event will go to Mayo-Roscommon Hospice and Mayo Cancer Services-Rock Rose House. The event will seek to raise much-needed funds for these two worthy causes, as well as awareness as to the amazing work that they do to support cancer sufferers and their families.